"BARTON, a parish in WEST ward, county of WESTMORLAND, comprising the chapelries of Hartsop with Patterdale, and Martindale, and the townships of High Barton, Low Winder, Sockbridge, and Yanwath with Eamont-Bridge, and containing 1212 inhabitants, of which number, 322 are in the township of High Barton, 4 miles (S.W. by S.) from Penrith. The living is a, vicarage, in the archdeaconry and diocese of Carlisle, rated in the king's books at £11. 1. 0., and in the patronage of the Earl of Lonsdale. The church, dedicated to St. Michael, is a large low structure, beautifully situated in the vale of Eamont. This parish includes part of the lake of Ullswater, from which flows the river Eamont, separating Westmorland from Cumberland: at its western extremity is the lofty mountain Helvellyn, and at its eastern King Arthur's Round Table." Patterdale and Martindale later became separate parishes. M.I.s for Barton were transcribed in Monumental Inscriptions of Westmorland by E. Bellasis 1888-89 and are available on Westmorland Papers. Census returns are available from the usual sources for 1841-1911. Transcripts were available on the Barton Banter site. 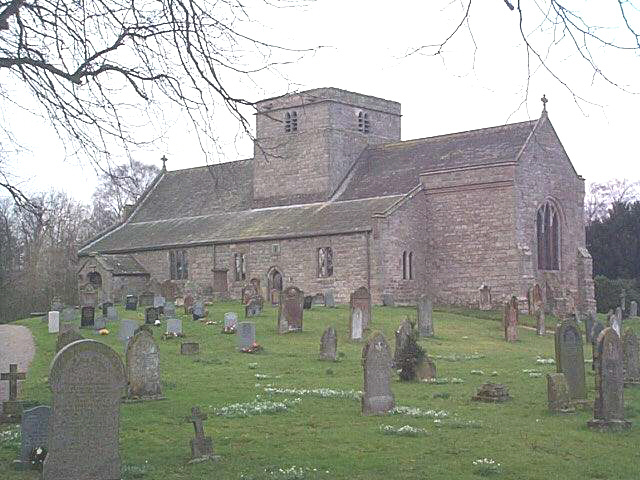 You can also perform a more selective search for churches in the Barton area or see them printed on a map. Central tower with barrel-vaulted Norman lower stage. Much other Norman work in nave and chancel. South and North aisles of C13th. Porch. See the CASCAT online calogue for WPR93 for information on these and other parish records. For searching on LDS familysearch.org see IGIbatch numbers (compiled by Jake Prescott) or use the batch number search site (by Hugh Wallis). Nicolson and Burn: The history and antiquities of the counties of Westmorland and Cumberland. 1777. Transcribed by Anne Nichols. "The parish of Barton, at least a great part of it, anciently belonged to the barony of Kendal, and was in the hands of the Lancasters barons of Kendal; a branch of which family removed into this parish, and settled at Sockbridge, and continued there for many generations, until that branch ended in daughters; and the posterity of the eldest of those daughters enjoy the manor of Sockbridge, and divers other possessions in the said parish to this day . It is bounded (beginning at the middle of the river Eamont over against the church, and descending down the river) by the parishes of Dacre and Penrith in the county of Cumberland on the West and North, to the place where the river Lowther runs in. Thence, ascending the river Lowther, it is bounded on the East by the parish of Brougham up to Lowther bridge. Thence bounded further on the East by the parishes of Clifton, Lowther, Askham, and Bampton. On the South, and again towards the West, by the parishes of Kendal and Gresmere in the barony of Kendale, and by the parishes of Crosthwaite and Greystock in Cumberland; and contains in the whole about 115 families, whereof there are only three or four dissenters. 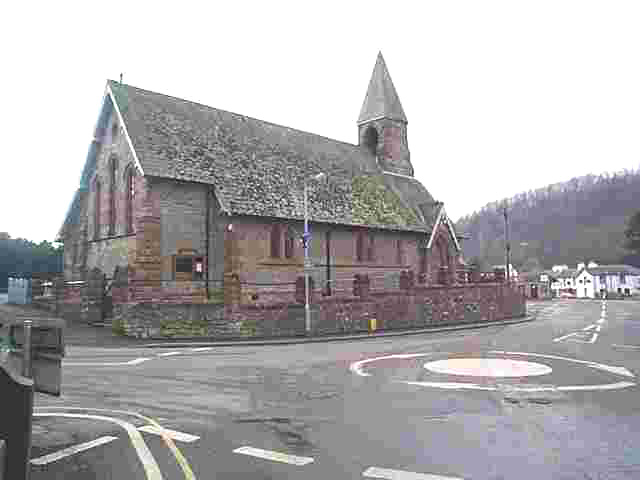 The church is dedicated to St. Michael; and is a vicarage. A considerable part of Ulleswater, from the middle eastward, is within the manor of Barton... At the head of the said water, above Patterdale, lies the manor of Hartsop, probably so denominated from abounding with deer anciently... Descending by the water from Hartsop, we come to Patterdale, so called probably from St. Patrick, to whom the chapel seems to be dedicated. For in the bishop's register it is called Patrickdale... And nigh unto the chapel is a well called St. Patrick's well. This dale is also part of the ancient barony of Kendal.... Higher up.. is Deepdale, so called from its situation; where there are about ten families. [in 1777] Pooley, a village at the foot of Ulleswater, taketh its name undoubtedly from that great pool or lake. The village contains about ten families. [in 1777] The manor of Sockbridge contains in it the hamlets of Sockbridge, Tirrel, and Thorp. The village of Sockbridge lies west of the church, and contains about 15 families. Tirrel, a little south-east of Sockbridge, contains about 10 families. And the village of Thorp is a little west from Sockbridge, and contains about 4 or 5 families. [in 1777] The hamlet of Winder (so called perhaps from its height and exposure) is part of it in the manor of Sockbridge, and part in Barton. A little below Sockbridge, on the same side of the river Eamont, is Yanwith or Yanwath (perhaps so called from some wath or ford found there, by way of distinction from the village called the Bridge a little below). The village of Yanwath contains about 12 families [in 1777]. Eamont Bridge is a small village, containing about 12 families, [in 1777]. It is so called from a fair stone bridge over the river Eamont." A trade directory of 1858 was transcribed on Barton Banter. Ask for a calculation of the distance from Barton to another place. You can see the administrative areas in which Barton has been placed at times in the past. Select one to see a link to a map of that particular area. Barton is O.E. bere-tun grange for bear (barley). "Barton, or as it is called in our Historians, Barton-Kirk, a Village situate on the River Eimot, almost at its coming out of the Lake called Ulleswater. The Parish wherein it is, is remarkably large, for it reaches from the Bounds of Rydal and Ambleside on the South to the River Loder, or Lowther, on the North fifteen or sixteen Miles. The Lordship of this Town did most antiently belong to the Lord Dacre of the North, for Ranulph de Dacre died possessed of it 13 Edw. III. His Posterity enjoyed it divers Successions, till Ranulph Lord Dacre, Brother of Thomas late Lord Dacre, firmly adhering to the House of Lancaster against the House of York, and being slain in Towton-field, by which Victory King Edward IV obtained the Throne, was attainted in the following Parliament, and all his Estates being forfeited to the Crown, that King gave them all to Sir Richard Fienes, or Fenys, his Chamberlain, who had married Joan the Daughter and sole Heir of the above mentioned Thomas Lord Dacre, accepting and declaring him by his Letters Patent Lord Dacre, and by his Grant settling upon him and his Wife Joan, and the Heirs of their Bodies, this Manor, and all other the Lands of Thomas Lord Dacre her Father, by the Attainder of the late Lord Dacre Ranulph, her Uncle. In this Family of Fienes this Lordship continued till 36 Eliz. Margaret Fienes transferred it by Marriage to Sampson Leonard, Esq: who thereupon claimed the Barony of Dacres, and obtained it. This Place is famous for the Births of two great Men, viz. Dr. Gerard Langbain, who from a poor Scholar in Queens College, Oxford, became first Fellow of the said House, where he was so eminent for all Kinds of Learning, and especially of Antiquities, that he was chosen by the University Keeper of the Archives or Records in 1644, and the next Year after Provost of his College; and in June following proceeded Doctor of Divinity. He was of a great Esteem for his Honesty and Skill in satisfying Doubts and composing Controversies. His great Learning rendered him acceptable to Archbishop Usher, Selden, and other Prodigies of Literature of his Time, and his Piety and publick Spiritness to all that knew him. He wrote several Things, but that which deserves to preserve his Memory here is, that a little before his Death, he settled twenty-four Pounds per Annum upon the Free-School of this Town, towards which he owned, that he had received twenty Pounds of a certain Doctor in Oxford, who desired to have his Name concealed. He died Febr. 10 1657-8. Dr. William Lancaster, late Provost also of the same College, was a Native of this Place, and on that Account, 'tis probable, was a considerable Benefactor to the School. Dr. Lancelot Daws, educated in Queens College, Oxford, where he was made Fellow, and being a studious Person, became a singular Ornament of his House. Removing from his College he became Minister of this his native Place, and being eminent in this Station, was raised to a Prebend in the Church of Carlisle, and further preferred to the Rectory of Ashby in this County. He submitted to the Men in Authority in the rebellious Times, but seems no Ways concerned in defending or maintaining their Transactions, but rather seems to have lamented the Disorders of his Time, by certain Sermons entitled, God's Mercies, and Jerusalem's Miseries. He was forty-eight Years Pastor of this Church, and died March 11 1653. He was buried under the Communion Table in the Chancel belonging to this Parish Church. Yanewith, a Lordship of the aforesaid Lord Clifford, of which he died possessed, and left as before. Near this Place the Loder joins the Eimot, where there is a large round Entrenchment, with a plain Piece of Ground in the Middle, and a Passage into it on either Side. It goes by the Name of King Arthur's Round Table; and it is possible enough that it might have been a Justing Place. However, it is clear, it could never have been a Place of Strength, because the Trenches are on the Inside. Near this is another great Fort of Stones, heaped up in the form of an Horse-shoe, and opening towards it, called by some King Arthur's Castle, and by others Mayburgh or Maybrough, of which Place see more above." Barton is in the diocese of Carlisle and wills will be in Carlisle Record Office. Hearth Tax records for 1674 Barton above the Church transcribed on Edenlinks. Hearth Tax records for 1674 Low Winder (Barton) transcribed on Edenlinks. Hearth Tax records for 1674 Yanwath & Bridge (Barton) transcribed on Edenlinks. Window Tax records for 1777 Barton transcribed on Edenlinks. Window Tax records for 1777 Low Winder transcribed on Edenlinks. Window Tax records for 1777 Sockbridge transcribed on Edenlinks. Window Tax records for 1777 Yanwath Bridge transcribed on Edenlinks.